Lip makeup is something that can help you attract people's attention, emphasize your sexuality, or hide some flaws. Lip makeup is a powerful weapon that can be used by every woman, both in everyday life and on special occasions. Before applying makeup, you should decide whichfeature you want to emphasize—the eyes or the lips. In the first case, lip makeup should be discreet and dim. In the second case, do not limit yourself to simple colors. a lip liner, a lipstick, a brush, powder, and a napkin. If you only use lip gloss, then a lip liner is not needed. Start your lip makeup with a special cleansing product, and then apply cream or lip balm. Just like the skin of the face, the lips also need to becleansed, moisturized, and nourished. This is especially true in the winter when the weather is frosty and windy or in the summer when the sun's rays and the sea water make the delicate skin on the lips dry. Cracked and peeling lips give the impression of sloppiness and carelessness. We must be aware of these adverse effects that the environment can have on our face. After the procedures for cleansing and maintenance, create a line with your lip liner by doing short, light strokes. This line is necessary in order to adjust the shape of the lips and make it as close to the ideal. 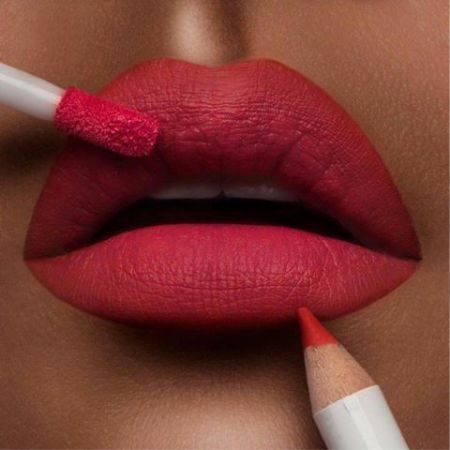 When the lip liner does not have very good texture and it is quite difficult to make a line, place points by arranging them as close to each other as possible. Next,apply lipstick with a brush, and then blot the lips with a napkin and powder them carefully. 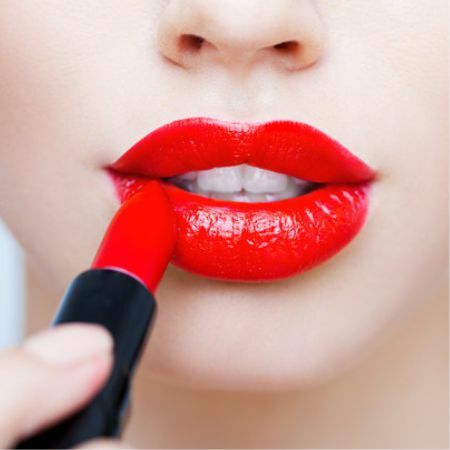 Now you can apply a second coat of lipstick; it will lie flat and last much longer. In order to create the effect of lip volume, you can apply a lighter tone to the middle of the lower lip. The same effect can be accomplished with lip gloss, leavingthe lips shiny, well-groomed, and with some added volume. Choosinga lipstick color is a science. The type of appearance, the kind of makeup, and many other factors are taken into account. But the most important thing is that if you do not have perfect white teeth, you should avoid warm red tones.Instead, cold purple orpinktones will better suit you. 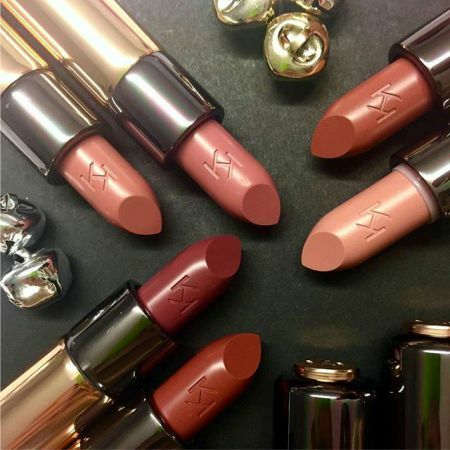 Some believe that lip makeup takes just a few seconds, a couple quick strokes of lipstick and nothing more. But this is not true. Try to spend a little more time and effort on your lip makeup, and you will certainly seethe difference. Like the article «Perfect Lip Makeup»? Share it with friends!